(CNN) - A national organization focused on ensuring the separation of church and state challenged Wednesday the involvement of Texas Gov. Rick Perry in an upcoming evangelical Christian prayer rally. The Freedom From Religion Foundation is asking the Southern District Court of Texas in Houston to declare Perry's connection to a "Day of Prayer and Fasting" unconstitutional and stop any further participation on his part, the foundation said. Perry's office says the governor still looks forward to the event. "He believes it will serve as an important opportunity for Americans to gather together and pray to God," said Catherine Frazier, deputy press secretary of Perry's office. "The pending litigation does not affect plans for the prayer event to move forward as planned." Perry asked that other governors make a similar proclamation and invite their constituents to join in the day, according to the announcement of the rally. 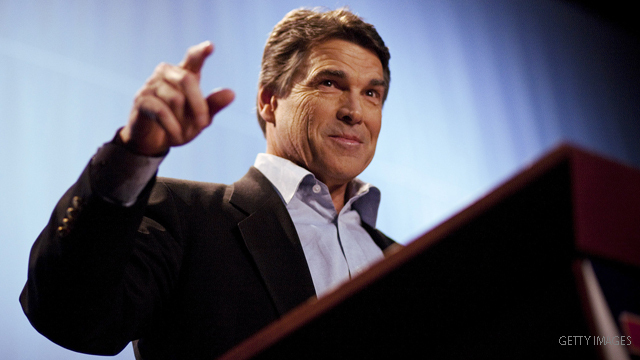 The lawsuit claims that the event sends a message that nonbelievers are "political outsiders" and that Perry's actions violate the First Amendment's Establishment Clause, which prohibits the government from making any law that favors one religion over another. The foundation charges in its statement that Perry's connection to the event gives official recognition to a devotional event and tries to encourage people to pray and non-Christians to convert to Christianity. The Madison, Wisconsin-based foundation calls itself the nation's largest atheist/agnostic membership group. In June, Perry made the proclamation that August 6 would be a "Day of Prayer and Fasting for Our Nation to seek God's guidance and wisdom in addressing the challenges that face our communities, states and nation." The meeting, hosted by the American Family Association at Reliant Stadium in Houston, will be "a non-denominational, apolitical, Christian prayer meeting," the governor's announcement said. According to its website, the American Family Association's mission is to "inform, equip, and activate individuals to strengthen the moral foundations of American culture, and give aid to the church here and abroad." If he wants to play "Imam Perry" let him. So long as he isn't using any of our tax monies, let him be. At least he's waving his crazy out in the open so nobody need be surprised. And the more time he spends at these indoctrination rallies, the less time he spends governing. Gov. Perry should be praised for taking the stand for what is right either way as is written," many will percicute you for My (Jesus Christ) name sake, but go and preach the word which will bring healing to the land. God said, " If my people will trun to Me I will heal their land". America what are we waiting for don't follow all these other people that are not from the way of our forefathers. This country was founded on roots of Christanity not non-christians but we wellcome you to come to Jesus Christ. and we surly weren't muslims or mormons. but i asure you if your don't like our country we didn't ask you to come here anyway so you and all your followers can leave on the same boat your father came on. America will be strong on the Lord Jesus Christ and will not heed to anyone. For greater is the one who is with us(God Allmighty) that those against us (satans followers).